CLOSEOUT SPECIAL! We are reformulating this product and need to move out the old material! Our new Cal-Sea-Hum (simply pronounced Calcium) line of products takes calcium supplementation to a whole new level. 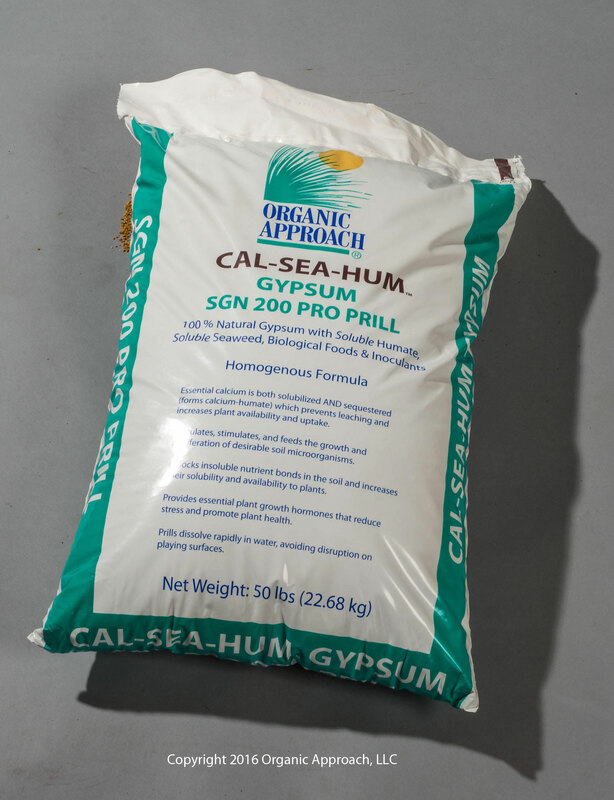 Utilizing calcium-rich rock minerals (Calcitic Limestone or Gypsum), we homogenously blend in organic solubilizing agents AND natural chelating agents (soluble humic acids) to render the most immediately plant-available calcium on the market. Our new Cal-Sea-Hum (simply pronounced Calcium) line of products takes calcium supplementation to a whole new level. Utilizing calcium-rich rock minerals (Calcitic Limestone or Gypsum), we homogenously blend in organic solubilizing agents AND natural chelating agents (soluble humic acids) to render the most immediately plant-available calcium on the market. It is important to understand that taking calcium sources and making them more soluble does NOT actually make the calcium more plant-available. There always needs to be organic compounds to connect with the soluble calcium and then transport it to the plant roots for uptake. Humic acids happen to be Nature's premier calcium transport tool, and as one of only a handful of true humate manufacturers in the country, we are uniquely able to add the high levels of soluble humic acids needed to make efficient use of all the calcium. Our proprietary combination results in the formation of calcium-humate, the driving force of The Great Plains (Mollisols), most fertile soils on Earth! Still, we realize it can be labor intensive to make a dedicated application just to supplement calcium needs, so we have transformed the concept of calcium products by adding a full-application rate of soluble seaweed extract powder to provide a wealth of natural plant growth hormones, amino acids, trace elements, and natural stress reduction at the same time. And to maximize your efforts, we have also added a series of biological inoculants designed to optimize soil health along with blend of complex biological food substrates that feed beneficial microbes in the soil! 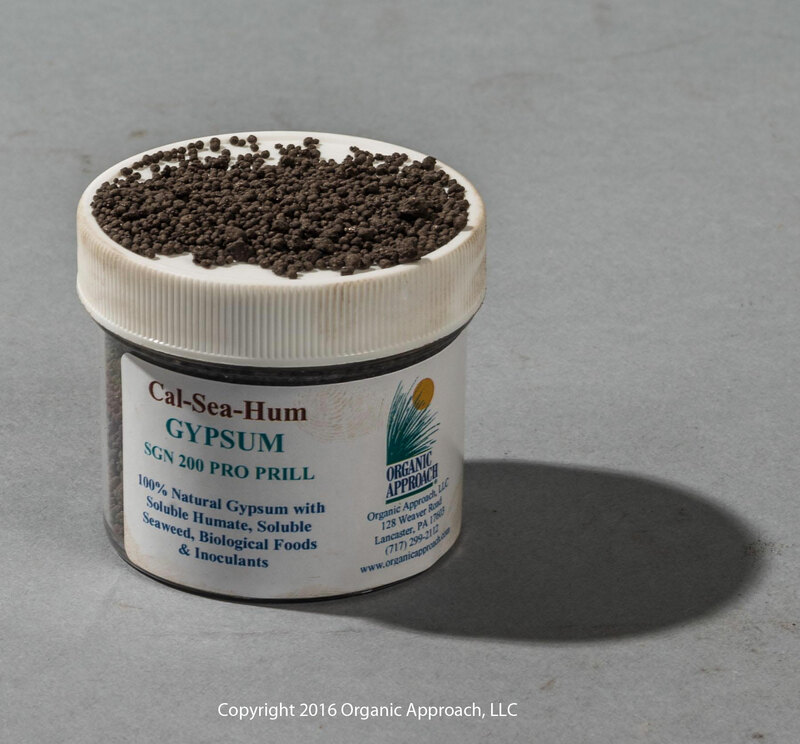 All together, the Cal-Sea-Hum line of products form the highest level of supplemental soil and plant care available in an easy to spread granule. They will greatly enhance the results of all fertility programs on all types of plants. For normal applications apply 5-10 pounds per 1000 square feet. For severe compaction or salinity situations you may apply up to 20 pounds per 1000 square feet.